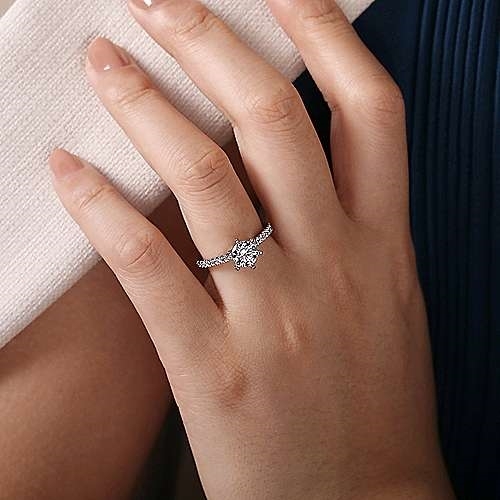 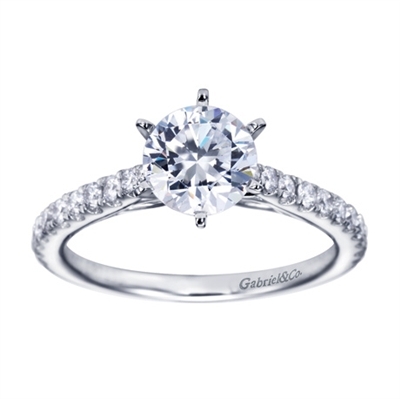 A straight white gold engagement ring with a touch of intricacy in the criss-cross design near the center stone, you can have your cake and eat it too! 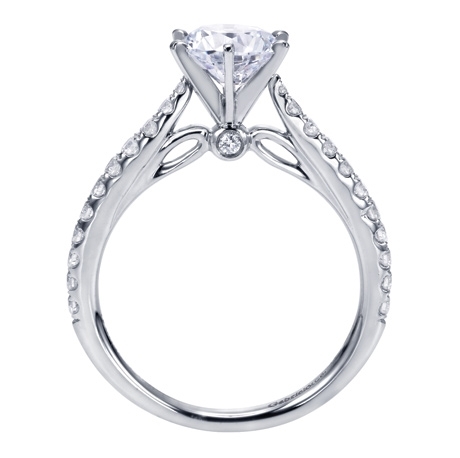 Elegant and ornate, a ring of this quality is fit for your bride to be. 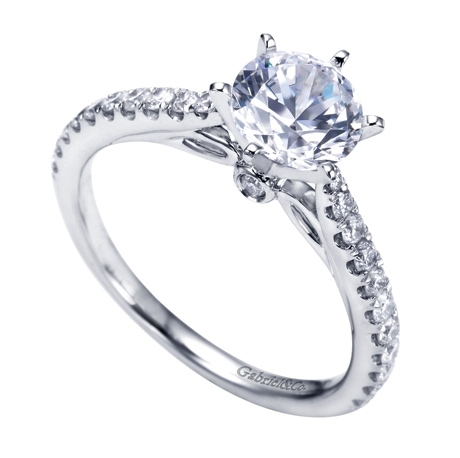 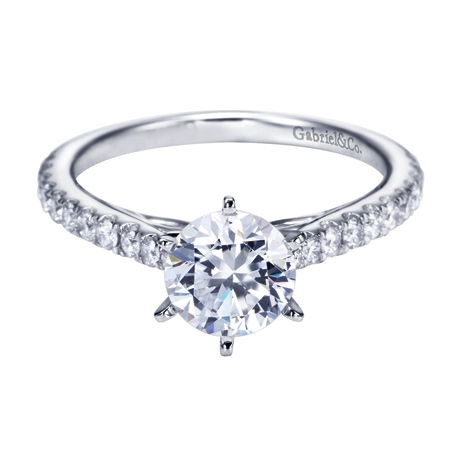 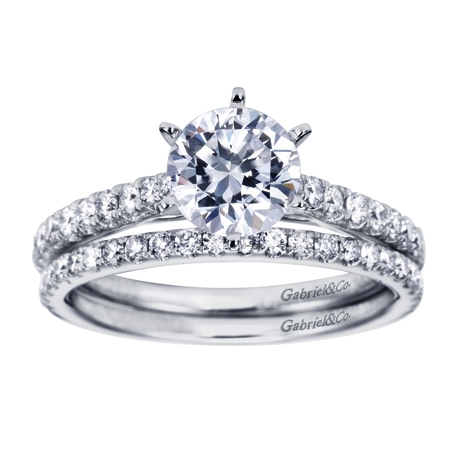 Six white gold prongs secure a round brilliant center stone in this contemporary straight diamond engagement ring.